Both CNN and NBC today canceled their planned Hillary Clinton films. CNN Films scrubbed its Hillary Clinton film first, after director Charles Ferguson backed out of the project today, citing the difficulties he had finding sources and interview subjects for the production: "Nobody, and I mean nobody was interested in helping me make this film." Then late today, NBC, too, scrapped its own mini-series, which was set to star Diane Lane. "After reviewing and prioritizing our slate of movie/mini-series development, we've decided that we will no longer continue developing the Hillary Clinton mini-series," an NBC spokesperson said. Earlier, CNN told ABC News in a statement: "Charles Ferguson has informed us that he is not moving forward with his documentary about Hillary Clinton. Charles is an Academy Award winning director who CNN Films was excited to be working with, but we understand and respect his decision." In a blog post on the Huffington Post today, Ferguson said both sides of the political aisle had no interest in helping with the film and he received pressure from Clinton aides and supporters to ditch the project. He said he eventually found only two people willing to go on camera. "Not Democrats, not Republicans, and certainly nobody who works with the Clintons, wants access to the Clintons, or dreams of a position in a Hillary Clinton administration," Ferguson wrote. "Not even journalists who want access, which can easily be taken away. After approaching well over a hundred people, only two persons who had ever dealt with Mrs. Clinton would agree to an on-camera interview, and I suspected that even they would back out." CNN announced the film in July and the Republican National Committee passed a resolution at its August meeting not to partner with CNN on any 2016 presidential primary debates unless the network canceled the film. NBC also announced in July that it was developing a Hillary Clinton miniseries starring Diane Lane. "This was only the first step in the Republican Party taking control of our debate process," RNC spokeswoman Kirsten Kukowski said. "The purpose of our party's debates is to better inform our grassroots and those participating in Republican primaries and caucuses," Kukowski said in a statement. "Now that CNN and NBC have canceled their Hillary Clinton infomercials, we will work on developing a new debate model that will address the timing, frequency, moderators and venues that will come in the next few months. Any media organization looking to be part of the debate process will have to comply with the new system." Besides pressure from conservatives who feared the documentary would glorify her brand, CNN also came under public pressure from Clinton supporters like Media Matters for America founder David Brock. Despite their almost always being at odds, Brock publicly endorsed the RNC's position in August and today put out a statement saying his group is "gratified that Charles Ferguson did the right thing by backing out of pursuing a project that posed a serious conflict of interest for CNN." "His distorted and self-serving account, in which he reveals his anti-Clinton animus, only confirms that our assessment of this film was correct," the statement read. "The threat of misinformation was too high." In his post, Ferguson said the RNC's vote "did not surprise" him, but "what did surprise me was that, quietly and privately, prominent Democrats made it known both to CNN and to me that they weren't delighted with the film, either." "Neither political party wanted the film made," Ferguson wrote. "After painful reflection, I decided that I couldn't make a film of which I would be proud. And so I'm cancelling. (Not because of any pressure from CNN - quite the contrary.) It's a victory for Clintons, and for the money machines that both political parties have now become. "But I don't think that it's a victory for the media, or for the American people," he wrote. 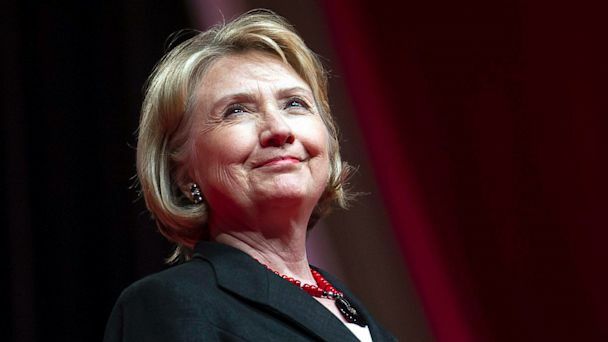 "I still believe that Mrs. Clinton has many virtues including great intelligence, fortitude, and a deep commitment to bettering the lives of women and children worldwide. But this is not her finest hour."